Most of the fragrances offered today in this giveaway were reviewed in the book, but not all. Neela Vermeire and Sammarco are each including one additional release which was not covered because the scent was too new. In the case of Ensar Oud, his two attars sold out before the book’s release, so he’s compensated by offering a set of sandalwood oils — real sandalwood, including a vintage Mysore one — with a few oud oils as well. Please read the following details and terms of the giveaway carefully. First, the giveaway is open to all readers regardless of location. In other words, it is an international one. Second, to be crystal clear, what’s being offered are samples, not full bottles. Third, and most importantly, I’ve divided the sample sets into two separate packages: Package A and Package B. Each package will have fragrances from three brands and each of those brands is offering three sample sets, so there will be three winners for each package. My thinking behind this structuring was to increase the number of winners so that there would be six instead of just three. It seemed like a more equitable way to spread the fun. Photo and source: Neela Vermeire. Fourth, to enter, you must post a comment here, not on any of the blog’s social media sites. It’s easier for me to compile all the names together that way. Also, you can only enter once. Fifth, when you comment, your name will be put on the list for both Package A and Package B, so that you have the chance to win either one. However, you can only win ONE package, not both. I will be using Random.org to select the winners, so if your name comes up for Package A, then it will be removed from consideration for Package B or vice-versa. If there is one package that you wish to win above all else, then, if you want, you can specify which one in your comment and I will make a note of it but there are no guarantees. Sixth, the giveaway starts tonight, Friday July 20th, and is open until 11:59 p.m. CST on Friday July 27th in the U.S. If you’re overseas, CST is -6:00 GMT (Greenwich Mean Time). Seventh, as mentioned up above, I will use Random.org to choose the six winners and I will announce the names in a separate post sometime on or around Sunday, July 29th. After that, the winners have until Wednesday, August 1st to email me with their real names and addresses, which I will subsequently pass on to the brands associated with their particular winning package. Please send an email to: Akafkaesquelife @ gmail . com (all scrunched up into one address. I’ve separated it out here to foil spam-bots). If you don’t contact me or if I fail to hear from you within the designated time, then I will give your prize to the next person on the list. Eighth, the companies will send the prizes directly to the winners and as soon as they can. Please understand that it may take some time for you to receive your gift, up to 2 weeks depending on your location and customs processing, or possibly even longer if your country has really nightmarish customs issues or if your geographic location is on the opposite side of the world from the perfumers. Ninth, and finally, please be aware that neither the companies nor I am responsible if items are destroyed by customs or are lost in transit for some reason. I would like to thank Antonio Gardoni, Liz Moores, Diane St. Clair, Giovanni Sammarco, Neela Vermeire, and Ensar Oud for their kindness and generosity in participating in this giveaway and for offering samples of their lovely creations without, as is sometimes the case in giveaways, any geographic restrictions. My hope is that six of you will discover something new that you end up falling in love with and that the rest of you might be tempted to give these great houses a look if you’re unfamiliar with them. This entry was posted in Bogue Profumo, Ensar Oud, Neela Vermeire Creations, Papillon Perfumery, Perfume Giveaways, Sammarco, St. Clair Scents and tagged Antonio Gardoni, Bogue, Diane St. Claire, Ensar Oud, Fragrance Giveaway, Liz Moores, Luca Turin, Luca Turin reviews, Neela Vermeire, Neela Vermeire Creations, Papillon, Perfumes The Guide 2018, Sammarco, St. Clair Scents, Tania Sanchez by Kafkaesque. Bookmark the permalink. I’m very excited about this giveaway! Sounds strange, I know, but I live in the forest just outside Yosemite and fast food is a far away luxury, let alone perfume! I also can’t wait for the new book. Thanks for the opportunity to smell something besides fire! I shall throw my name to the internet winds of chance. Thank you for the awesome blog. Wow! Great giveaway! It’s very kind of you to facilitate this. Wonderful timing, K – thank you! Thanks for the opportunity. So excited! Great timing. I’ve been reading your blog for a while and really enjoy the depth and quality of your reviews. I’ve especially taken an interest to Papillon and will head to their London boutique this coming week. I love your blog and read it frequently. So excited for this. Thanks!! Beloved Kafka!!! I was wondering what you had to say about the “new” Guide! I myself have been quietly buying up the more “mass market” of the 5 stars!!! ( read: the ones I can still afford!) I simply can’t stop wearing Narcisco!!! I hope you have enjoyed reading it as much as I have…it certainly made me long to jump back into perfumes once more, however it is not something I can entertain for now. I shall just have to paint pictures based on descriptions. I still prefer yours to theirs, although they have you beat at the snarky table, for certain!!! All my love to you and the hairiest one! Hope he’s doing well!!! The Kindest of Regards to you Kafka! Peace & Love! Thank you for organising this fantastic giveaway and thanks to the perfumers for their generosity. I live in perfume-desert Japan. None of the brands mentioned are available here and I’d love to try them. My preference goes out to pack B.
Dear Kafka, glad to see you are back. I hope the Hairy Germany Lord is doing OK. Believe it a not, me a dog person, got a cat. We adopted a stray 2 months old kitten from a shelter (well now she is 7 months old)!! I never thought I would do that, I never thought of myself as a cat person.Thank you for doing a draw. Dearest Kafka – I always look forward to reading your blog posts and am excited to participate in this giveaway. Thanks for the opportunity! Well. When we do hear from you it’s always in style! Thanks also to the sample contributors! If it makes a difference, I’ve sampled almost everything in package A so should the luck of the draw be in my favor package B would be rocking. Hope you and your teuton are doing well. This is very exciting. Please consider me entered! It’s good to see a post from you and I hope your summer is unspooling nicely. I thought or hoped it was. A big hug to you, cheri. It’s a delight to find you elsewhere. Love love Neela Vermeire scents! I’m curious if others have tried the newest one. Lush…. I’m so excited. It’s a great giveaway. What a delightful way to celebrate the second edition of Luca Turin and Tania Sanchez’s book. Many thanks to Kafka who is responsible for guiding me to the world of artisan perfumes and giving me hope that there are artists out there creating scents worth smelling. Personal preference is for Package B, as I am already the contented owner of several of the Package A items. How exciting! I have been reading your blog for some time now. You started me on my fragrance journey and I have been slowly exploring your favorites for a couple years now. Can’t wait to see what else you can teach me! Thanks so much for letting us know about the book. I’m sure I can’t resist buying it! Engaging the artisans in the giveaways is wonderful. What a fun and generous competition. It’s always a pleasure to read these reviews and this competition makes it even more exciting. I love Ensar Oud! I am already an wistful fan of many of these and very anxious to try the others! Thank you for spreading the fun around. Off to kindle I go!! This is an amazing giveaway! I look forward to getting the book as well to read about all the perfume treasures in it! This is very exciting! Both packages are new to me! Excuse me if I posted twice, my comment isn’t appearing. How generous of you and the perfumers! I’d love to participate in the giveaway. I deeply appreciate your blog. I don’t comment much, but I love your deep analysis of the perfumes you review and the story of your personal experience with each scent. Thank you so much for this opportunity! I love your blog and you’ve introduced me to so many great fragrances over the years. Your knowledge and insight are unparalleled. Dear Kafka, This certainly is an amazing opportunity. Thank you for this giveaway. Thanks very much Mr. Kafkaesque for this rare opportunity to win some of these nice gems. Wow, Kafkaesque, what a generous giveaway. Many thanks for the opportunity! Being able to experience a new artisan crafted scent is always a delight! Thanks for the giveaway. A great way to try some scents that I’ve been interested in! Wow! How wonderful! I had Salome and Dryad. So excited. Thank you K for the opportunity. So exciting! I didn’t even know there was a new edition of the book. I’ve not sampled anything new for a while! My preference would be package B. Hope you’re well, Kafka, and thank you so much! What a phenomenal giveaway. Thank you for organizing it! Fantastic giveaway! Thank you for chance to win! Thank you for this opportunity! Also throwing my name in! What a wonderful opportunity indeed for people to discover those brands that are harder to get (especially in quarters around the world where Boss fragrances are considered en Vogue)! Thank you for doing it! I absolutely love your blog! I really appreciate all the thoughtfulness, care and imagination that you put into each post. Thank you for educating and illuminating us on the world of perfume. Both packages sound great–thanks for doing this! Great blog, wonderful giveaway and I appreciate the perfumers for contributing their products. May the Internet winds of chance waft any of these beautiful perfumes my way….I am not picky. Good luck to everyone who enters. Cheers. Keen to get my hands on the book. Of the samples in the give away, I must call out Bogue MEM deserves its 5 star billing. It’s been one the most positively intriguing fragrances I’ve sniffed recently, one that kept my mind distracted for 18+ hours. And Bond-T.. Such a delicious fragrance. Dear Kafka, glad to see you are back and thank you for this exiting giveaway! I love to read your blog and the deeply reviews. Both your giveaway and the publication of the new book are a surprise and a delight. Luca Turin liking Liz Moore’s Papillons is great. So it’s Package A for me, please. He wasn’t so fond of Rania J’s stuff (which I have a sample set of) though. Kafka, what do think of this ? I love your blog! I’ve been reading Luca Turin book and looking forward to trying these brands! Oh Kafka …I have so enjoyed burning the midnight oil with your wonderful blog & have learned so much , Thank You ! I have based purchases on your reviews & now to have a chance to “physically explore” such a gift ; whee ! Thank you so much for hosting this giveaway! If I were fortunate enough to win, fingers crossed that it be Package B, only because I have every one of the fragrances mentioned in Package A and think someone else should have the opportunity to try those beauties. I understand there are no guarantees as to preference. In my own Guide, these fragrances would receive five stars, so thanks again for the opportunity. thank you for organising such a wonderful giveaway….. Thanks for the great blog-now I want to read the book even more! Amazing idea! Thank you and to all the perfumers who accepted to do a joint giveaway! This book has already broken the internet, and though still not in my possession, I feel like I have read it. Surprisingly, I know most of A pack fragrances, but I would like to enter for both , because I would like to give them away to someone else who hasn’t tried them. One more thing – love to see you back and hope everything goes well for you and your hairy friend. How wonderful and what a great giveaway….I can’t wait to get my hands on the book. Thank you for your inspiration over the years and the effort and love that went into creating your blog…. I would love if I won. This sounds amazing, thank you for putting it together. I’m such a Bogue fan, this is a great opportunity! Thank you for putting together such a great event. I hope I hope I hope. I swoon with anticipation. Good luck to us all. I hope I hope I hope. What a generous giveaway, thanks for this chance! What a lovely, generous thing to do! I was excited to see a new post from you (we have missed you so, dear K) and even more excited to see mention of the guide (obsessively following it up to release, as well as on basenotes since). A giveaway, from such superb houses to boot, really was the trifecta. Am overwhelmed with excitement and need to go lie down. But not before posting my comment and asking you to please count me in! Dear Kafka, what a wonderful initiative. These are all, without exception, great brands that are all in their own way very special. All of these brands are truly original and offer very high quality products. I’d love to sample more of these brands. Please count me in! Can’t wait for more of your reviews, you have opened my eyes to many great fragrances! Amazing gift, thank you for putting this together! Ohh, what fabulous news to read first thing in the morning here in Spain. Thank you for such a generous giveaway! Good luck to you all. Ohhh what great news to read first thing in the morning here in Spain! Thank you for such a generous giveaway. Good luck to us all! If possible, would love package B! Thank you once again! How amazing! Thank you Kafka and all the brands for their generosity! Me too I have had great fun reading the new Guide. I’ve always wanted to try the Papillons but sadly they don’t ship outside UK, not even just across the English Channel. Maybe this time I’ll be lucky! Since I know all the Neelas already, I’d prefer to enter into the Package A draw only if that’s not too much trouble. Thanks again for the giveaway! What a wonderful gift . Some very interesting fragrances in those lists . I have bought quite a few fragrances based on your reviews and always been happy. Do not mind which package as both sound great. That’s great. Thanks for the opportunity. Please count me in. Was only thinking the other day that I would love to smell new quality perfumes…. Ooooh, both package A and B sound perfect, I’m all about this! This sounds awesome. Fingers crossed for Package B but A sounds just as great! I am so happy about this giveaway. Especially Ensar Oud being part of this project is much much appreciated as people would now know what real ouds smells like. What a lovely offer. I have been reading The Guide 2018 this week and thinking how great it would be to smell some of these rarer fragrances. Thank you for this opportunity. First of all, welcome back and thank you for this great opportunity and thanks to the Brands for following your idea. Just the day before yesterday I purchased the paper book ! These artisanal independent brands need some well deserved spotlight. I’m always interested in getting to know new perfumers (especially small ones). Thank you for this opportunity. There are some fragrances here that I’ve long been wanting to try. And thank you for not making us choose between A and B! It would have been an agonising decision and either of the two packages would make me enormously happy. This is a great opportunity to try out something new. It seems like Unkle Serges has altered all my favourites so the drought here in Denmark is equal to my perfume drawer. Hope your hairy master is doing better han my girly. She has just had 2 tumor removed and it is cancer. Fortunately she’s still happy and playful. Goodmto have you back. I’m so sorry to hear about your girl. And poor you, you must have been worried sick. Were they mast cell tumors? Does the vet think they managed to remove everything and that they caught things in time before it spread? I hope so. Please give her a hug from me. What a great competition – thanks! Thank you for the opportunity to win such wonderful samples! My fingers are crossed! What an awesome opportunity to sample such wonderful perfume houses and niche brands! I hope I am randomly selected! I’d love a chance to try bogue perfumes. Thanks for the draw! This is so sweet of you and all the perfumers!! You do not need to enter me, but I just wanted to say thanks from all of your followers and myself! I am glad you have another post …. and it’s a giveaway ! 🙂 I am a long term follower. Thanks and keep up the righteous work. Good luck everyone ! solid five stars! I would love something of the package A if possible, thank you for the giveaway! Excellent fragrances to try and win! Thanks so much Kafka, for offering them! Both packages are awesome but package B is what i would like to get. Wow! This is terrific…I’m getting the Turin book ASAP. I love your succinct reviews of so many perfumes. Such focus is a gift to read…I’ve purchased many an exceptional bottle thanks to you! You, sir, are the gift. Thanks! Wow, thanks to you and the perfume houses for doing this! I would be delighted with either one. Kindest wishes of wellness and strength to You Both!!! A beautiful choice of parfumes and a terrific blog! I am a Maai fun as well as NV Trayee. Please enter me into the giveaway! Thank you very much for inspiring reviews. Very happy to see you back! My nose agrees that MEM is truly a 5 star perfume. It is the only scent from Bogue I have smelled, I would love to try more. I have stayed away from reading the new Guide, it makes me want to try everything. I know in time my curiosity will win out. Thank you, kafkaesque, and to the perfume houses for your time and generosity in creating this opportunity for us. How lovely to get a chance to win a package with samples from these very interesting Indie perfume houses. I have tried two different ones from Papillon and really liked them. And thank you for a wonderful blog! Thanks for the giveaway – throwing my name into the hat! Thanks for the giveaway! Throwing my name into the hat! (second comment, the first one isn’t showing up, but if it does, feel free to delete one of them). I always love the work you do to give press to the small and different houses! What an awesome giveaway! Thanks. I’m looking forward to some new posts from you soon. Thank you Kafka for the opportunity. I believe there will be around 500 comments for this thread. Please count me in. Thank you Kafka for this wonderful opportunity! Glad to see you back on the blog! I’m very interested in discovering Ensar Oud and St. Clair’s fragrances. Please count me in for Package B. What a lovely giveaway! Thanks for putting it together and to the brands for donating. So very cool and exciting, Kafka! I’ve probably never commented, but I’ve been a big fan for years. Always enjoy everything you write. Thank you so much for the chance! This is so exciting! I love your reviews. I am especially interested in Package B. But, would be happy to win either. Thank you for this thoughtful giveaway. Hello Kafkaesque, it’s good to see a new post from you. Hope you are well, and thank you for the giveaway! I just ordered the new guide. I’d love to win one of the Set A’s! I’ve already had the pleasure of sniffing a bunch in Set B. ❤️ I am currently in love with First Cut; it is pure golden honey, hay, and sunshine on my skin. Thanks for the fabulous opportunities. Thanks for having this giveaway with so many scents to try! Would love to try these. Especially the Ensar puss you’ve written so bueatifully about. Thank you for the oppurtunity. What a wonderful opportunity. Thanks so much for this. I hope the Hairy German is doing well. My four canine friends sent their regards. I was so glad to see you back again. What a great idea for a draw. I would love to win. Whatever set would be fine with me. Thank you for much for the chance. I read your blog all of the time and love your detailed comments about fragrance. I have missed hearing from you but I understand”Life gets in the way” sometimes. Thank you again. Thank you for the many great discoveries I was introduced to on your blog. I’ve been waiting for what seems like eons for that book to be published! Hurrah! And hurrah and thanks to you and the perfumers for the lovely giveaway! Oooh!!! What a great selection! I’m only (very) interested in package B as I’ve tried (or own) each perfume in A except for Dryad. If I win the A, please give it to someone else instead, so they can explore what I know and love! This is a very generous offer from you and all the perfumers. Both sound amazing but the second one is the one I’d like to try-the Neela creations have been on my radar for a long time. Still enjoying the Filles en aiguilles I bought based on your review, and also the SL series you wrote about. I really love that particular post. How fantastic. The list looks amazing, and all those winning will be so happy! Thanks! Even though I’ve never posted before, I do miss your writings. I also hope all is well, especially for the Hairy German. We have a 9 yr old cat, and 2 leopard geckos, one 10 yrs old and the other 12. The younger one had me worried recently, her shedding skin wasn’t coming off properly, which can become problematic. But a week of rubbing some oil on her finally helped. <3 Thanks for arranging the giveaway. Lately, even samples have become too much of a luxury to splurge on, lol. What a generous gift, Id be over the moon with either one! What a wonderful idea, as it was a very thought-provoking ebook! Thank you for doing this. Please count me in. GIVEAWAY TIME whoop whoop whoop . Incredibly awesome cool beans exciting stuff . Oh wow this is a most generous giveaway! I have been dying to try Sammarco for quite some time – as well as all the others of course. I would love to be considered for this competition. Thank you! Very cool giveaway. Quite a few of these are on my list to sample so this would be great. Thanks to you and all the perfumers Kafka! I have just bought the book on Amazon. I am quite disappointed that Ambre Loup is rated at 2 stars. Thank you for this chance. What a generous giveaway! I would love to try these fragrances – sampling is so much fun! Just recently I’ve been testing samples from various smaller companies and discovered some lovely scents that I might add to my collection. I’ve been reading Your blog couple of years already and I must admit, I love the way You write and how You also use reviews from other enthusiast even if You disagree with them. Thank You for sharing Your thoughts and thank You for arranging this giveaway! OH GOODNESS. Many of the perfumes included in this giveaway have been on my wishlist for good while now…of course I will enter! Thank you for this fantastic opportunity to get to know exciting fragrances! Wow- what a giveaway! I’ve been dying to try the Ensar Oud oils since you began your series on him but the price point has always made me a little worried to be admitted – and that’s not even to mention how delicious all of the rest of the fragrances you mentioned are up for swap sound! Thank you so very much for the opportunity, and good luck everyone! What a great giveaway !! I truly enjoy your site and maybe I will be lucky and win!! Winning perfume samples is fun and I have been wanting to test many of these fumes for years. Thank you for thinking of your fans. What an exciting giveaway. I know you’re no great fan of Luca Turin, Kafka, but I hope we can hear your thoughts on the new book! What a great giveaway! And the Guide is so much fun to read. Thanks a lot, great stuff!! Thank you for this, I would most love to try package B as I have particularly enjoyed your reviews of Sultan Pasha attars and Ensar Oud but have yet to try any. All the best to you and your teutonic overlord…. How very nice! After entering my comment, excited to read your take on the new guide. I Love all kinds of perfumes specially from montale By Kilian and Clive christian.Would love to try these New Scents.Will definitely read the book Perfume The Guide to enlighten me more in learning the intricacies of perfume making. Thank you for that giveaway. I have missed your writing a lot. I hope you are well and you come back to writing. I’m a long-time lurker but Package B is too good to ignore. Also, I’m glad to know that you and the Hairy German are doing all right. When a long time passes between your posts, I start to worry. Thanks for the giveaway. You are wonderful. Love your writing, both about perfume and life. Thanks you for your blog and the giveaway! This is very exciting as I’ve only just started reading Luca Turin’s first book. Thanks for this opportunity, love your blog!! Thank you for this opportunity. I hope I win package B. Thank you for this generous giveaway! 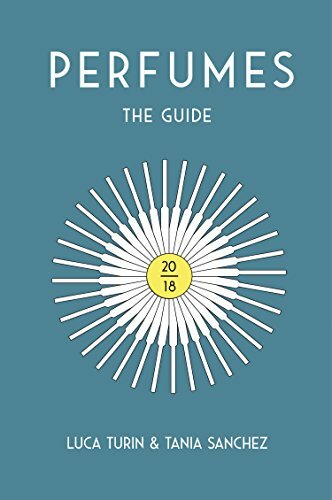 I’ve just started reading Perfumes the Guide. Thank you for this draw, and thank you for still being around as my regular must read blog poster. Thank *YOU* for the kind comment. If you don’t mind, can I write you down as “Stephan G” (using part of your email address) for the giveaway? I’ve got a ton of “Stephan” entries already and I’m having to use portions of their email addresses as side notations on the list in order to separate them all out and for it not to be confusing. If you have another preferred reference name or short-hand abbreviation, let me know. Otherwise, I’ll just add you to my list (at #173) as “Stephan G.” Is that okay? On a separate topic, I hope you will review Mellifluence Attars (by Abdullah from UK) and Elixir Attars (USA) soon, if possible. Oh yeah. I am in. 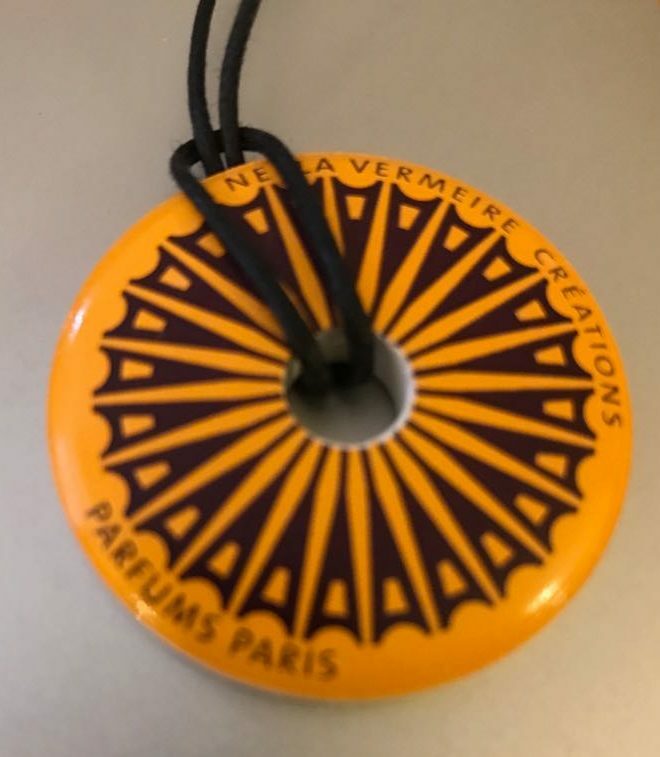 Thank you dear Kafka and perfumers for this brilliant opportunity to sample the creations – I’ve been craving to sniff Liz Moore’s scents since reading more about them in your reviews. Best wishes! I would be thrilled to sample the Ensar Oud! It’s very generous of you to do this. Very generous from you and the perfumers – thank you! Thank you and all 6 perfumes houses for your kindness and generosity. I really want Package A. Fingers crosses. I’d like very much to get to test some of these fragrances (e.g. Ensar Oud) that I don’t know. Wonderfull giveaway, what a surprise! A wonderful giveaway and a chance to discover niche fragrances. Thank you! Count me in! Thank you for taking us on a scent journey with your wonderful blog. Thanks to you and the perfumers participating in this generous giveaway. What a splendid draw! I would like to thank all involved that I may participate! Of course I got the new Turin&Sanchez Guide asap and as was the case with the first Guide, it is fun digitally leafing through the second one. I like the emphasis on lesser well known perfume houses. Thank you so much for this. I’d love to try some of these! Wow so generous thank you, please can I be included too would love to try these. Thank you for this wonderful opportunity. And thank you so much for your reviews! I enjoy them tremendously. Hi Kafka — I’ve been reading your blog for quite a while, and have always appreciated your insightful and in depth reviews. Through you, I’ve discovered many perfumes I would otherwise have missed. Thank you! As a long time reader, let me take this opportunity to say that I really enjoy your writing, and it has given me lot of insight and knowledge. Thank you. ***sirens*** Wow, a whole selection of REAL sandalwood? I’d be grateful for just the one sample. Thanks for the draw! Entered. Preferably package B. Thank you for a great blogg aswell. After all the kerfuffle about the new version of The Guide, so nice to read a sane and appreciative response! How exciting! I’ve been bewitched by Trayee, and would love to try more of Neela’s line. Thank you to everyone who made this giveaway possible! Thank you so much for all your reviews! I enjoy them so much! Thank you and all for this great opportunity. Great reviews and a giveaway?!? Thank you! I hope that one day you’ll be able to publish your own perfume reviews book! Thank you so much for the chance, what an awesome giveaway! Oh my goodness, what an offer! I would LOVE to win package B (as I already have most samples from A). I am a proper niche perfume addict now, thanks to your blog. I am slowly going bankrupt, but I am loving it! Ahhhhhh and just the other day I was wondering what you were up to! The giveaway is a wonderful idea, thank you so much Kafka. I hope you and your loved ones (both human and canine) are doing well. Please add me to the competition i would love to win package A! Thank you for coordinating this giveaway! Bogue, Neela Vermeire, and Papillon are all houses I’ve been wanting to explore. The others are new to me, but they look intriguing. this is so cool.thanks so much .i have been wanting to smell neela’s stuff for so long.it would be great to discover some new loves.i have a preference for package B. That is a truly awesome giveaway, thank you! I would prefer B but all look fantastic! Thanks so much! Package B would be awesome but both look fantastic! Thanks so much for the chance, package B would be awesome but both look fantastic! Thank you K. This is so sweet of you and all the perfumers!! I would love to win package B. This is a wonderful competition – thank you for running it. I really enjoyed reading about these perfumes in The Guide and on your blog. Please include me in the draw. This is a wonderful giveaway! Thank you for arranging it and please count me in. Hey Kafka, I’m throwing my hat in the ring for a chance to win one of the packages. I’d be thrilled with the chance to sniff any of these, let alone either package in their entirety. Please, sign me up. Wow, what an awesome giveaway! All of these guys have caught my attention at one point or another (St Clair especially – butter to perfumery is such an amazing segue). Thanks for the opportunity! Thank you for the opportunity to smell wonderful things! Thanks for arranging this. It’s also an inspiration to follow the links to your reviews. I hope you’re drawing great comfort from the evidence of a broad and deeply fond readership. Good luck to you! I hope you and the German overlord are doing well Kafka. All these brands are so deserving of their high praise! I would totally love to win package B, mostly because St Clair doesn’t ship internationally yet and Ensar Oud has always been a dream for me to try. I’m from Sydney, Australia… thanks so much for the generosity! Huzzah! I have ordered my copy of this book. I, like many of the people you mentioned, had no clue it was to be released! Thank you, and the perfumers, for organizing this giveaway. I hope the winners will share their impressions once they get their samples! St Clair Scents sounds very interesting. I would like to enter. It is wonderful that this giveaway is international! I am the huge fan of your blog as well Mr Luca Turins writing. I have bought little by little your favorite perfumes and Mr Turins five star perfumes. It has been a rewarding and interesting journey. I hope You and your Teutonic Overlord all the best! Thank you Sir. I prefer Package B. It is very kind of you and all perfumers. Please count me in. I always look forward to reading your review. Thanks for the opportunity! I am a huge fan of you. Please spend some of your spare time to do the review on weekly basic. huh, first time taking part in a giveaway and missed it by 2 hours. Damn sleeping patterns and need for sleep! Although, it was destiny because i came back to your blog after about a year i think. thank you for your passon and keep informing and educating us! Cheers, Arnab from Germany. I am ready for Sunday to be here ! 🙂 Good luck everyone.